With a wealth of senior living experience, we’ll be your trusted partners and advisors in fulfilling your organization’s vision. 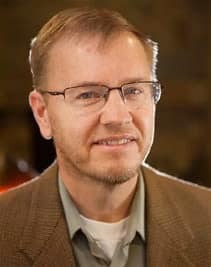 As President & CEO Terry Rogers leads Christian Living Communities (CLC) the parent company of Cappella Living Solutions, a Colorado-based senior living care and services organization serving the western and mid-western regions. Terry leads the visioning and strategic planning processes, putting CLC on the path of creating more communities where aging is honored and celebrated. CLC also owns Rhythms Home Care, which has doubled in size under Terry’s leadership. Terry’s more than 30-year career includes leadership positions in for-profit and not-for-profit home healthcare, long-term care and senior living organizations. Encouraging culture change in aging services, Terry spearheaded the visioning, planning, financing and construction of the first residential-style skilled nursing community in Alabama, based on The Green House Project®. He is a strong supporter of The Eden Alternative, Masterpiece Living and other innovative programs, transforming senior living today. Prior to serving senior living organizations, Terry served in operations and finance roles for a national home health care company. As COO, Camille M. Burke is responsible for the vision, direction and growth of Cappella Living Solutions. She helps clients plan, design and manage their senior housing and healthcare services. In addition to providing management consultation to existing communities, Camille assists clients in project development. She advises on space programming and product mix; coordinates all members of the project development team to ensure efficient processes; creates the management structure; handles executive recruitment; and drives desired outcomes. 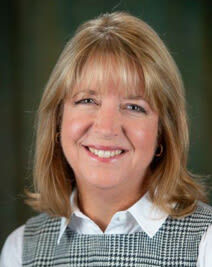 Camille has been in the senior living industry since 1999 and has a background in hospitality. She began her career with CLC in 2004 as Director of Sales & Marketing for the proposed Holly Creek Retirement Community. Financing for construction of this new community was contingent on pre-selling 70% of the independent living units, and her marketing efforts beat this target. Camille also opened and operated Holly Creek as its first Executive Director and routinely exceeded all of the benchmarks in the Holly Creek bond covenants. She served as Vice-President and Chief Operating Officer of CLC between 2007 and 2014, where she led the organization in attaining five-star ratings in all three communities and maintained stabilized occupancy during the recession of 2008. She also managed the repositioning of the Clermont Park Campus. Jayne brings more than 30 years of experience in senior services, ranging from skilled nursing administration to operating a full continuum community including assisted living and independent living. She currently serves as the Vice-President of Senior Living for Christian Living Communities and Cappella Living Solutions. Her solid operational talent has brought many successes to the organization and she continues to lead the industry with innovative and creative approaches to significant challenges within the profession. Prior to joining CLC, Jayne worked for two for-profit organizations in Colorado. She served for several years on the Board of Directors for Colorado Health Care Association and served as the state leader for National Centers of Assisted Living. Most recently, she completed a three-year commitment as the chairperson of the LeadingAge Colorado Conference Planning Committee. Jayne is a proud alumnus of the LeadingAge Leadership Academy, completing her academy journey in 2015. Jayne holds a Bachelor of Arts degree from Western Illinois University and a Master of Science degree in Health Services Administration from Regis University. 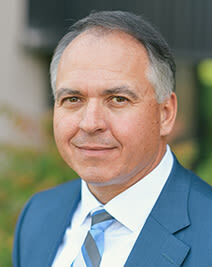 Jeff has more than 23 years of experience in accounting and financial management. He directs the overall financial operations of Cappella Living Solutions and assists clients in financial modeling, business plan development and market research. Jeff provides consulting services to clients in the areas of financial modeling, project development and operations including preparing pro forma analyses for proposed Life Plan Communities and assisted living/memory support communities, assessing the impact of new services, and benchmarking a client’s financial indicators. He also assists clients in obtaining financing for development and renovation projects including advising on operational issues, financial planning and project financing. Before joining Cappella, Jeff served as the Chief Financial Officer at CLC for 10 years and as its Chief Project Management Officer for five years. In these roles, Jeff was responsible for accounting and finance functions for the entire organization and was involved in over $250 million in financing transactions, including tax-exempt bond, construction loan and bank financing. Jeff holds a Bachelor of Science in Accounting from Bob Jones University in Greenville, South Carolina. He is a member of the Colorado Society of CPAs and American Institute of CPAs. David joined CLC in January of 2019. Previously, he worked as a Director of Development for a real estate developer in his hometown of Grand Rapids, Michigan. David’s work experience includes ground-up development of senior housing assets as well as assisting in the launch of a new senior housing platform. 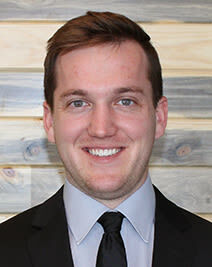 David graduated from Grand Valley State University in 2016 with a Bachelor’s degree in Finance and is working towards obtaining a Charted Financial Analyst designation. Katrissa joined the Cappella Living Solutions team as our Regional Director of Clinical Services. 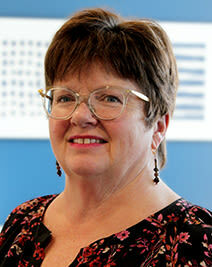 She brings a wealth of experience to this position, having started her healthcare career in 1982. She is a licensed Registered Nurse in multiple states, has her Colorado Nursing Home Administrator license, Assisted Living certification, and is a Resident Assessment Coordinator – Certified (RAC-CT). She supports all of the Cappella Living Solutions managed communities. Prior to joining Cappella, Katrissa was the Regional Director Clinical Operations with the Brookdale CCRC West division. 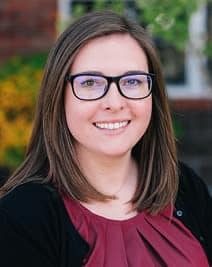 Katrissa draws on experience including knowledge of operations in Nursing Homes, Skilled Rehab, Assisted Living, Memory Care, Marketing, Clinical Care, Hospice, MDS and Nursing. She firmly believes in positivity, transformational leadership, and team building resulting in open communication and enhanced working environments. Katrissa graduated from Regis University in Denver, Colorado with a Baccalaureate Degree in Nursing. Jeanne has extensive experience in senior living, including oversight of regional team members, including life enrichment programming, dining services, clinical, maintenance, sales and marketing, human resources, training and risk management. Her current role includes operations management for a large number of our communities. Jeanne’s efforts have resulted in increased employee retention and continually improving services with a consistent focus on mission, values, and balancing purpose with business growth objectives. She has also developed long-range strategic management planning, assessment, training and coaching to assist in delivering increased revenue-generating sales. 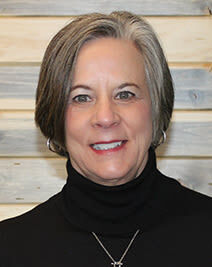 Jeanne holds a Bachelor Science in Marketing from Bethany Nazarene University and a Master of Education in Adult Education and Gerontology from the University of Central Oklahoma Prior to joining CLC and Cappella, she held directorial roles at both Enlivant Senior Living and Brookdale. Jeanne received the ALFA Leadership Award. Jill has more than 30 years of proven sales and marketing experience and has lead teams ranging from five to 45. Within her current role, she trains and supports the sales and marketing teams at Cappella Managed Communities. 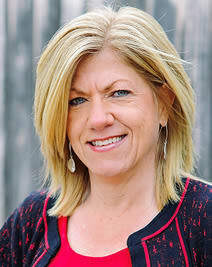 Jill’s areas of expertise include occupancy challenged communities, competitive shop consulting and new construction. Throughout her career, Jill has inspired her teams to overcome market share and census challenges by teaching them the consultative approach to selling. Jill holds a Bachelor of Science in Business Management, with a minor in Accounting from the University of Phoenix. Prior to joining CLC, she worked for two not-for-profit Continuing Care Retirement Communities in Denver, Colorado and Boise, Idaho. 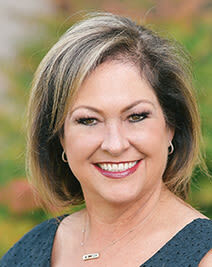 Before moving into the senior living industry in 2008, Jill’s career included three years marketing a large automotive group and 16 years in the newspaper industry. Kim joins the Cappella Living team as a Regional Sales and Marketing Director. Prior to this role, she was assisting in lease-up at The Ridge Pinehurst, which is a Cappella managed community, and as a Regional Director of Sales for Spectrum Retirement Communities. 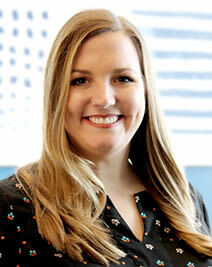 Kim was named a 2019 Emerging Leader by LeadingAge Colorado. Kim believes in thinking outside of the box and in looking at other industries to drive innovation in senior housing. 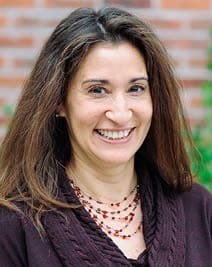 Kim has her Master’s Degree in Aging Services Management from the University of Southern California, and a Bachelor of Science in Journalism from the University of Kansas. Kathy comes to us with a wealth of nursing experience from Vascular, Cardiac, and Acute Medicine specialties acquired in a hospital setting. Her experience includes being a Unit Manager, Assistant Director of Nursing, Director of Nursing and MDS Coordinator in the Long Term Care/Skilled Nursing setting. She has acquired a Bachelor’s of Science in Nursing, an MBA and also is a licensed Nursing Home Administrator. Kathy is a Certified Eden Associate and an Eden Neighborhood Guide, practicing with those principles as a guide. It is with this experience, knowledge and principles that she will guide her clinical areas and those that lead within them to achieve the mission and values of Cappella Living Solutions. Kayleen joined Christian Living Communities in 2010 and has worked in a number of different capacities within CLC owned and Cappella managed communities. Most recently, she helped to stabilize and bring occupancy to 100% at Bella Vita, a Cappella managed community that had struggled under previous management. Prior to that, Kayleen managed the construction and redevelopment of Clermont Park which included the implementation of a nurse call system and tablet technology in residential living. Currently, she supports the team and clients by facilitating project logistics through planning, coordinating, scheduling, budgeting and project-related administrative tasks. Kayleen holds a Bachelor’s of Science degree in Human Nutrition and Dietetics from Metropolitan State University and is currently working towards her Master’s degree in Project Management. In addition to this team, we have access to a deep bench of professionals at the Christian Living Communities office who support all communities, whether managed or owned.